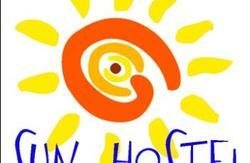 Bulbulder Hostel is a warm and friendly hostel that welcomes travelers from all over the world. Location of the hostel is in the city center and just 2,5 km from the heart of Belgrade and 15 km from airport Nikola Tesla. We have a wealth of experience and know how to meet all the travelers needs during their stay. 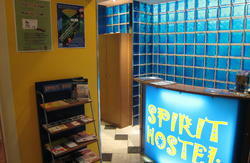 Our hostel is spacious, has a square surface of 350 m2 ,7 bedrooms on two floors. It has large common room with a fireplace, free internet, WiFi, cable TV, DVD, music, board games will enable you to socialize or just enjoy yourself while planning what to visit. Our air-conditioned guest rooms with three bathrooms and a guest kitchen containing all the necessary equipment, provide you with everything you need for a pleasant stay. Events such as barbecue are offered as well. 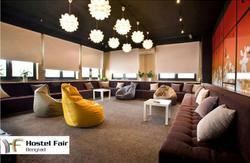 Guests can also enjoy on hostel terrace or in the hostel yard on more than 300m2, where it's also an open bar. Free welcome drink consisting of traditional Serbian plum brandy is offered to hostel guests. They will also have a free selection of coffee and tea, as well as free towels and city maps. We are here to advise you on anything and everything from the best places to eat, local hot spots and where to uncover the hidden beauties of our city. We will spend time with you to make your stay in our beautiful city of Belgrade (Beograd) as pleasurable and comfortable as possible. Great reasons to stay with us. Your enjoyment is our priority.